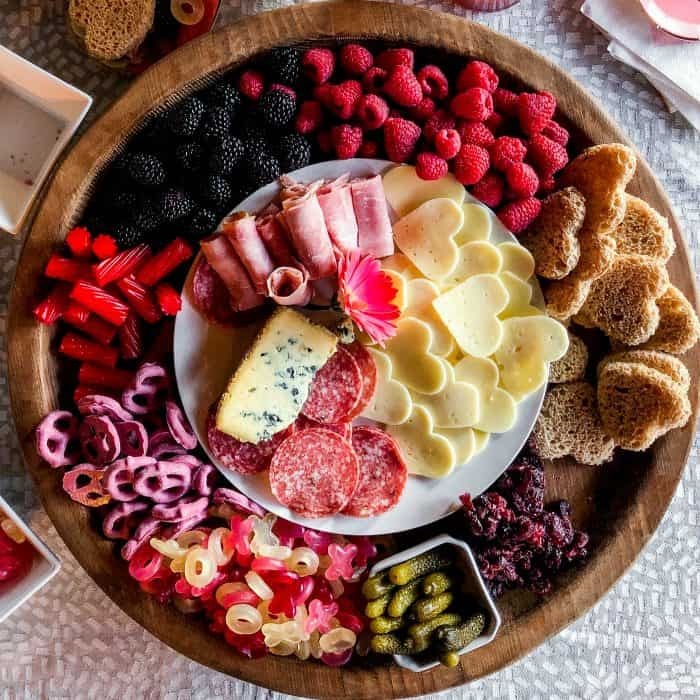 Serve a Galentine’s Day Charcuterie Board, made with mini heart ham and cheese sandwiches, and Valentine’s treats, for a girlfriend party on February 13th! 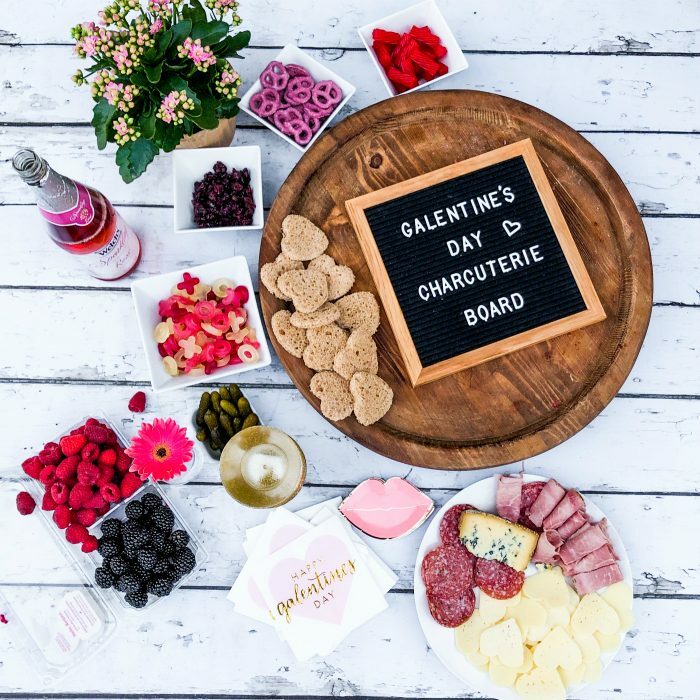 This Galentine’s Day Charcuterie Board is the perfect recipe for gathering a small group of friends to enjoy charcuterie snacks and treats together. 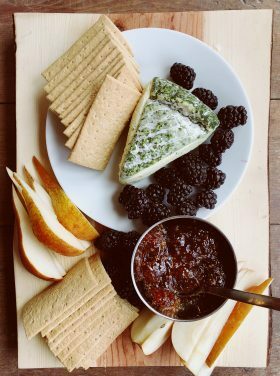 My Chocolate-Dipped Bacon recipe would be delicious on this board, too! 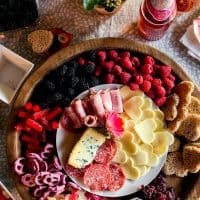 Whether you’re single, married, or you just want to try a new FUN charcuterie board, with mini heart ham and cheese sandwiches, this recipe is for you! What’s a Galentine’s Day party? Leslie Knope, from the telelvision show Parks and Recreation (played by Amy Poehler), created this holiday. Galentine’s Day is February 13th, a beautiful day to celebrate all the lovely ladies in your life! 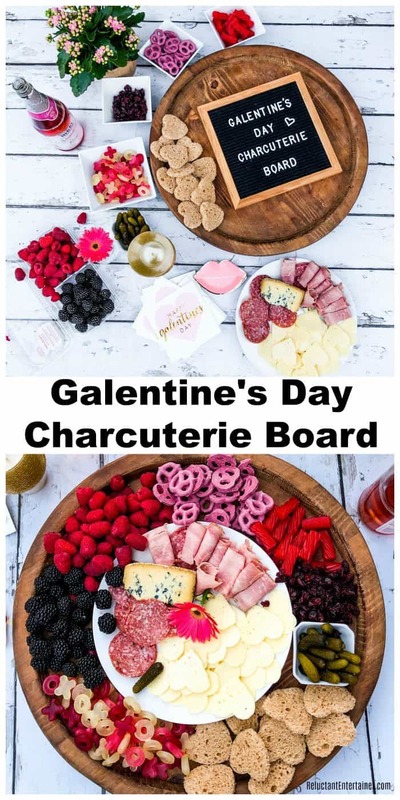 If you can’t decide what to serve, make this Galentine’s Day Charcuterie Board! 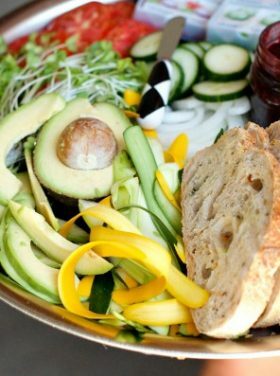 You can also always make a giant salad (or make it a potluck salad party), and follow my How to Make a Giant Chocolate Cheese Board for dessert! 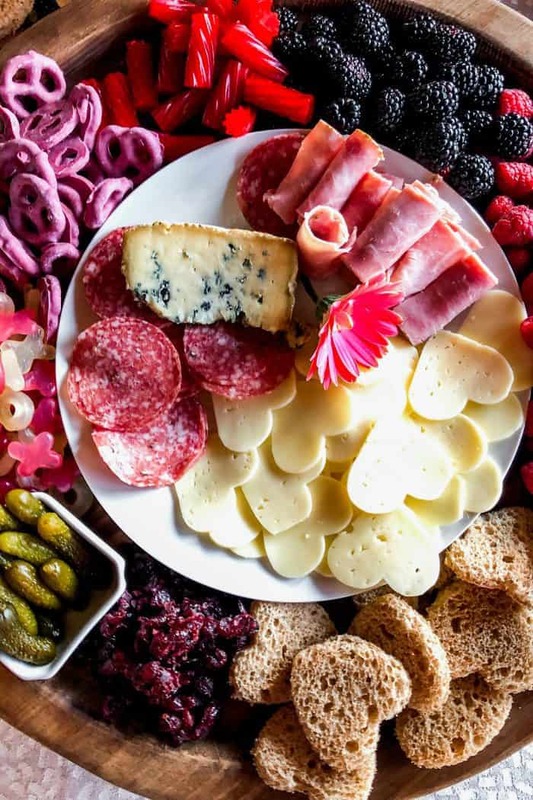 A charcuterie board is a tray, platter, or board of cured meats, cheese, fruit and nuts. Here at Reluctant Entertainer, we recommend a board with a lip around the outside. This allows you to fill the board completely and not have the crackers or other food items fall off. I always start with the center of the board, with a “center star” food item. For this board, I made a plate of cut-out heart slices of cheese and whole grain bread, and rolled ham slices. Fill the open spaces with the remaining foods. Always put small messy food items in a small dish (ie, pickles). 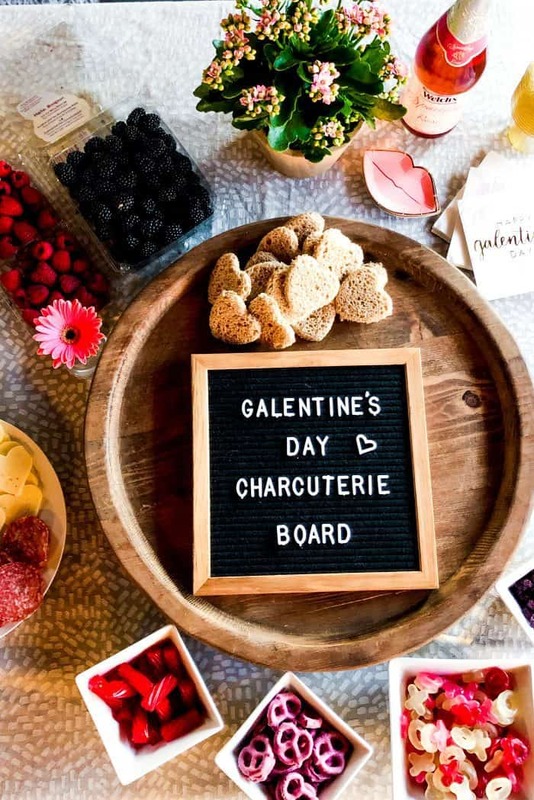 A Galentine’s Day Charcuterie Board can actually be used for a variety of occasions. Make an invite, if only for you and a friend. 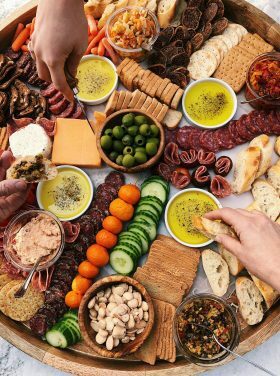 Make a large or small charcuterie board (you can double or triple these ingredients), depending on the number of guests. Don’t forget the “bubbly” drinks! Pick up some cute napkins, glasses, and little party plates. Or set out some cute napkins, glasses, and little party plates. It’s that easy! 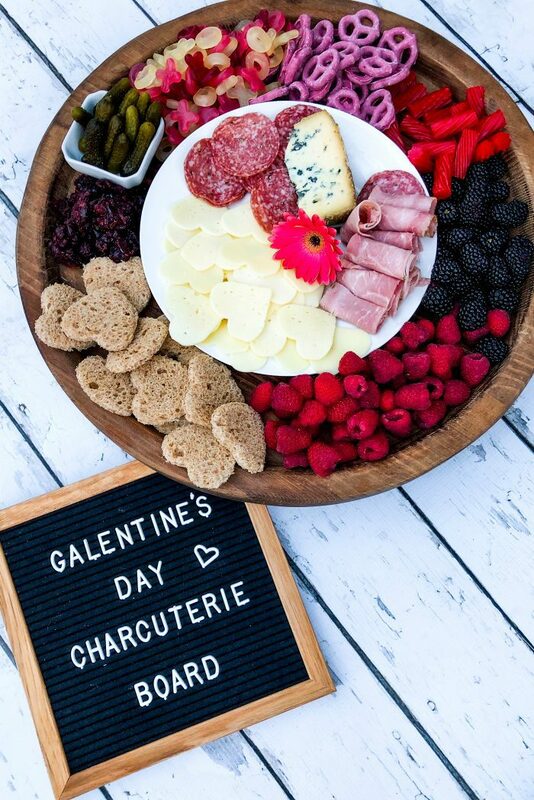 Make sure and watch my Instagram @reluctantentertainer fast-speed video for how to make this Galentine’s Day Charcuterie Board! More ideas: Valentine Sweetheard Snack Mix and Mini Heart Shaped Cakes. 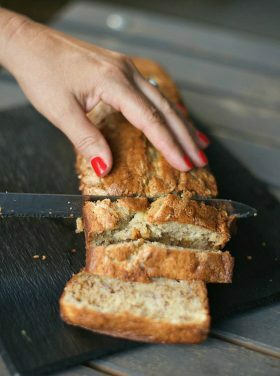 Thank you BakerMama! 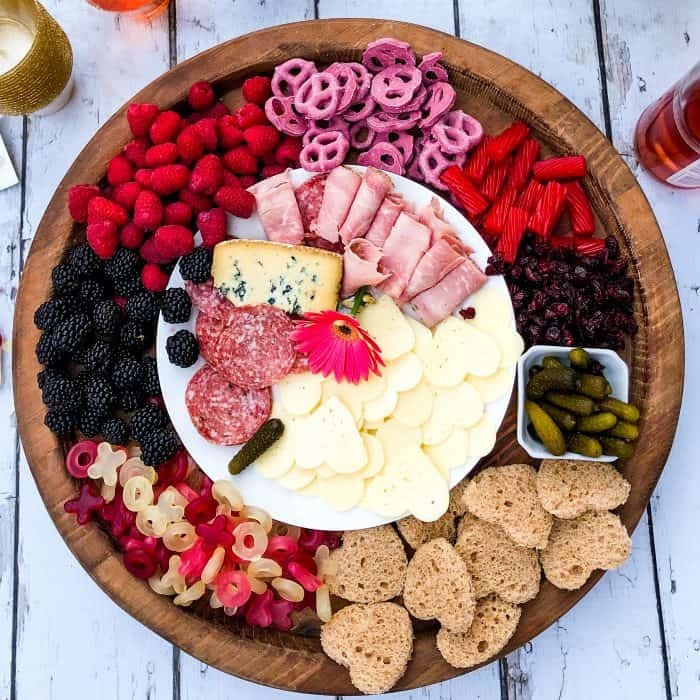 Use a lazy susan board or any board with a "lip" around the outside so food does not fall off. Start with the center of the board, with a "center star" food item. 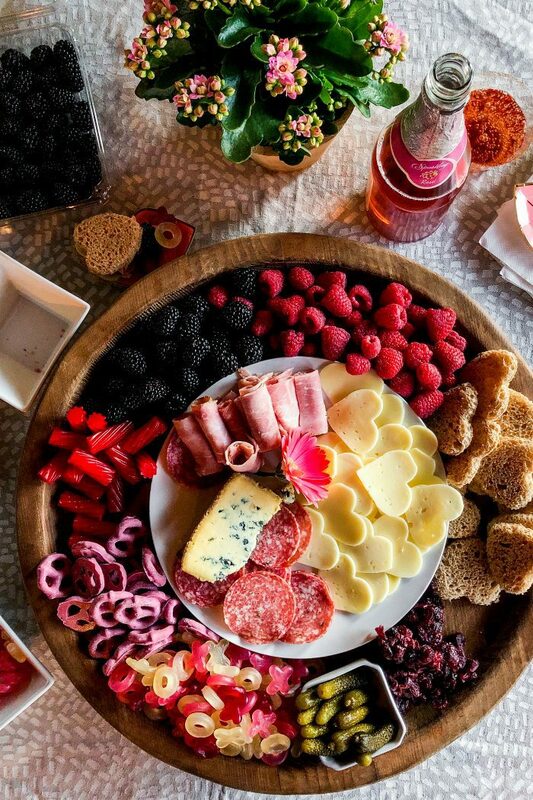 For this board, arrange cut-out heart slices of cheese and whole grain bread, and rolled ham slices on a plate. 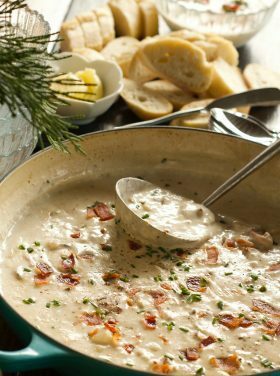 Add a block of blue cheese. 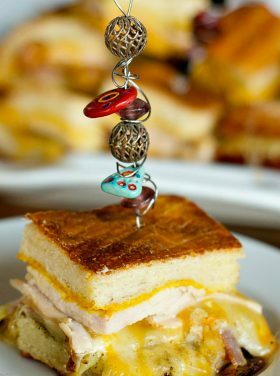 Always put small messy food items in a small dish (ie, pickles). 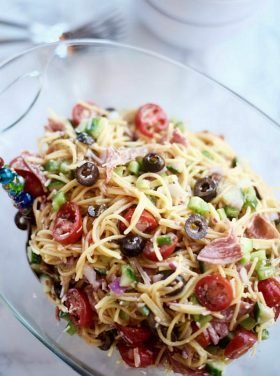 Garnish with a flower and serve!